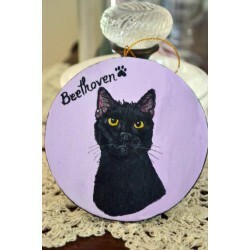 10% of the proceeds from ornaments sold will be donated to The CT Humane Society to help those who aren't fortunate to be called someone's pet. Please try to submit clear, close up photos of your pet that give great detail to facial features and accurate coloring so I can give you my very best. 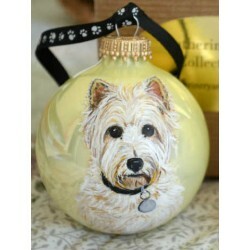 In the event you send a photo that isn't the best quality I can photograph the item while in progress and email it to you. 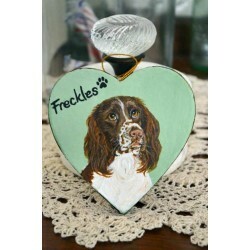 Hand painted with your pet's likeness from YOUR photo. 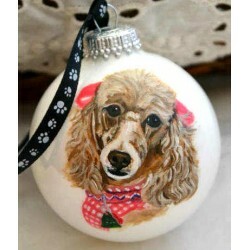 Email a photo of your pet or mail in a ret..
Hand painted with your pet's likeness from YOUR photo. Email a photo or mail in a returnable &nbs.. 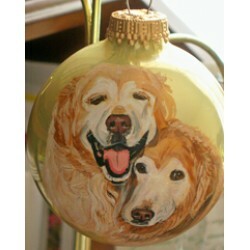 Pick your favorite breed of cat or dog and have it painted on a glass ornament. Each one is indiv.. 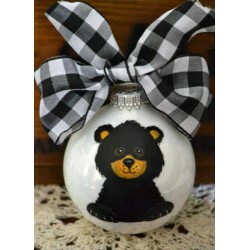 This cute whimsical black bear hand painted on a 2 5/8" in diameter glass ornament will war..
New! 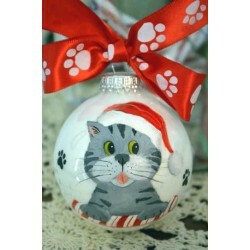 This paper mache ornament is a great alternative to the glass ornament for those who .. 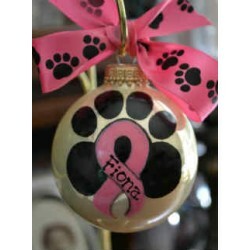 This 2.5" glass ornament is a special way to remember or honor a beloved pet who has battled canc.. 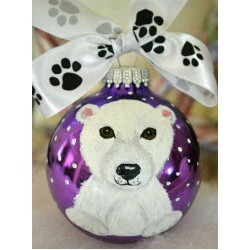 This cute polar bear cub makes a vist from the North Pole to share Christmas on this ..
Support animal rescues while giving a wonderful gift that you will see hanging from the Christmas..
New! 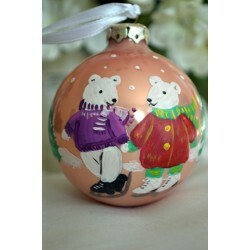 This round paper mache ornament makes a great alternative to the glass ornament .. 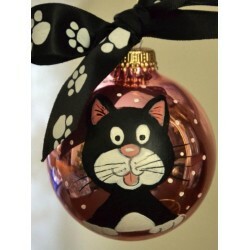 Feline lovers.. Santa Claws is coming to town in your choice of Black, Black & White, Orange ..
Glass Ornaments measure 2.5 in diameter Pink Ornament. 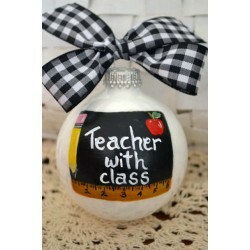 ..
Hand painted glass ornament makes a great gift for that special teacher! 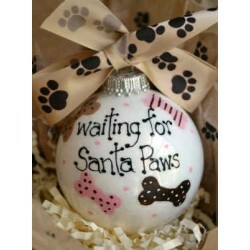 2 5/8" in diameter..
Adorn your tree with this adorable 2-1/2" glass ornament to display your pet's excitement and ant.. 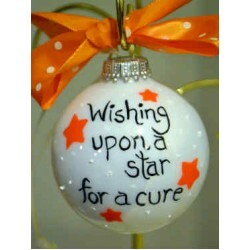 This hand painted ornament is great for those who are battling an illness or for thei..